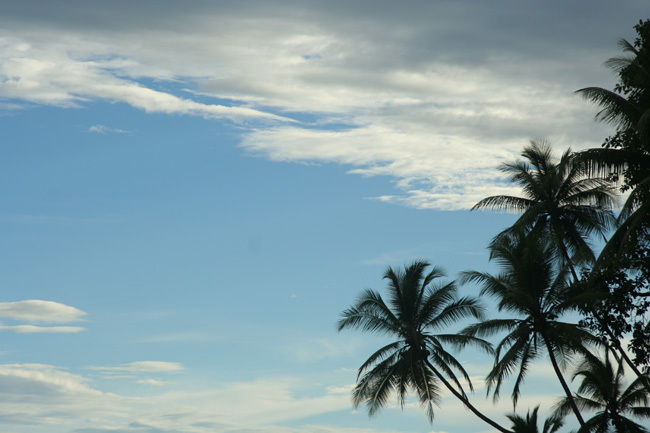 Climate and weather are important factors to consider when visiting a country. 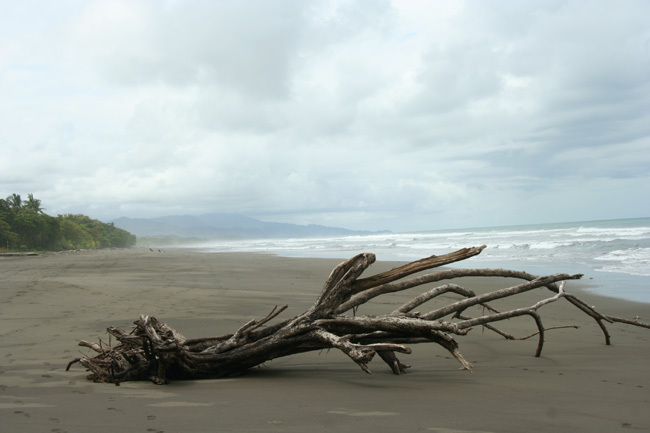 Most people consider travelling to Costa Rica in wintertime. 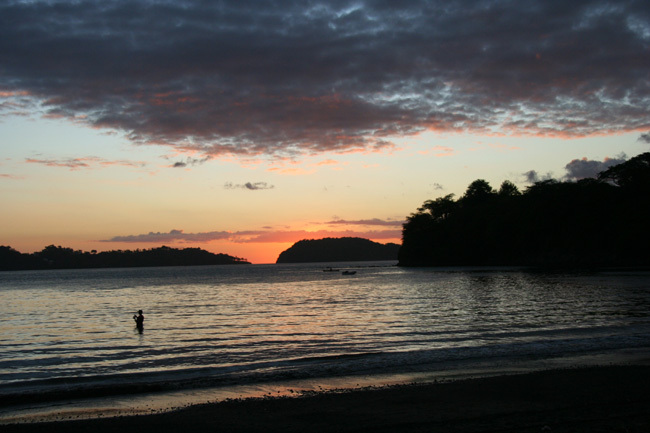 December and january are perfect months for vacations in Costa Rica - you can avoid the cold in the Northern Hemisphere and are most likely to hit good weather here. Note that this is the peak tourist season. Contact us for information about where to go and hotel bookings. 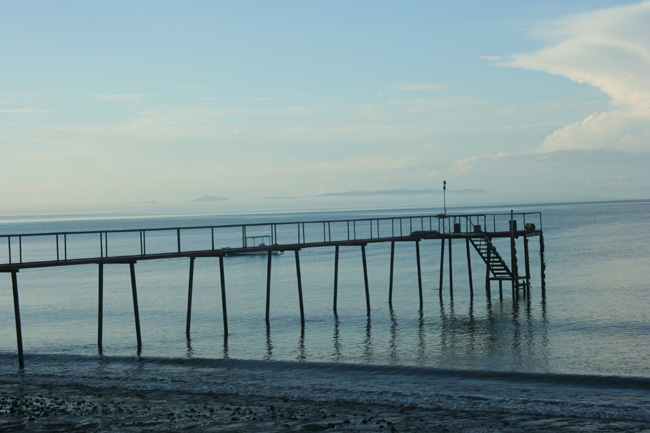 The dry season lasts from November/December to the end of April. 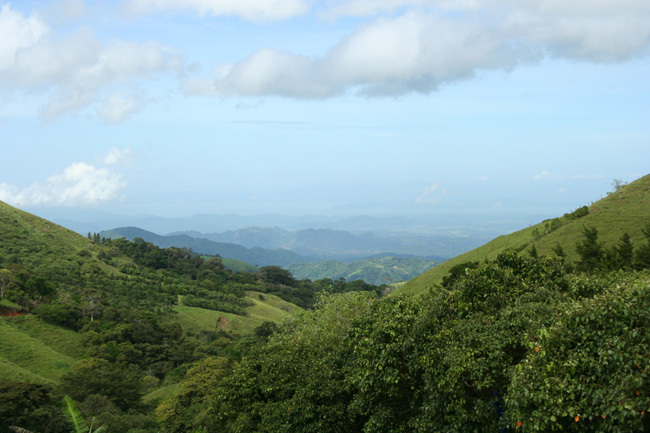 The vegetation is less lush during this season, making places like Guanacaste look like an African savannah. In recent years there has been a change of climate (due to global warming linked to the hole in the ozone layer and/or El Niño?). 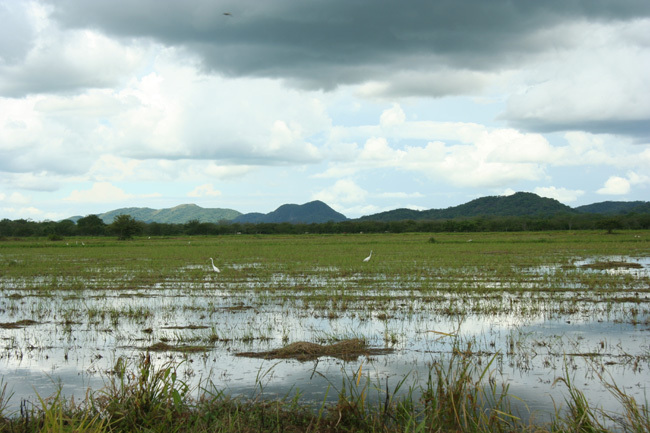 For example, we found abnormally heavy rains in January and February, while in theory this is the dry season. From November to April, hotels and other operators charge high season rates. Many North Americans visit the country during this season. 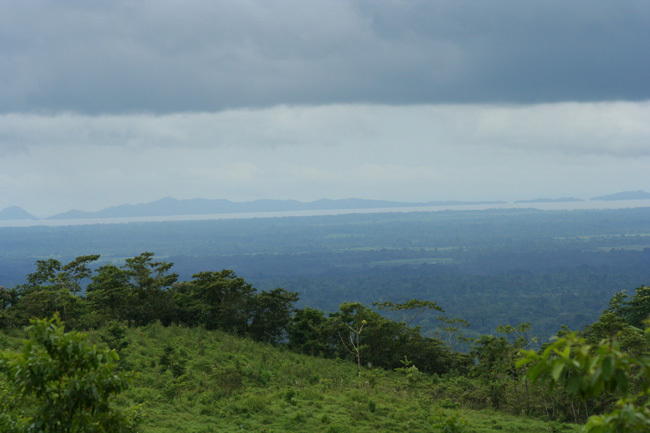 The („green“) rain season lasts from May until November. 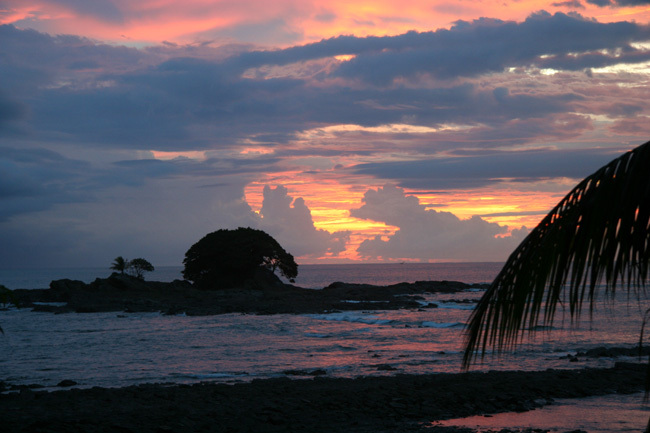 This is the best season to travel to Costa Rica. 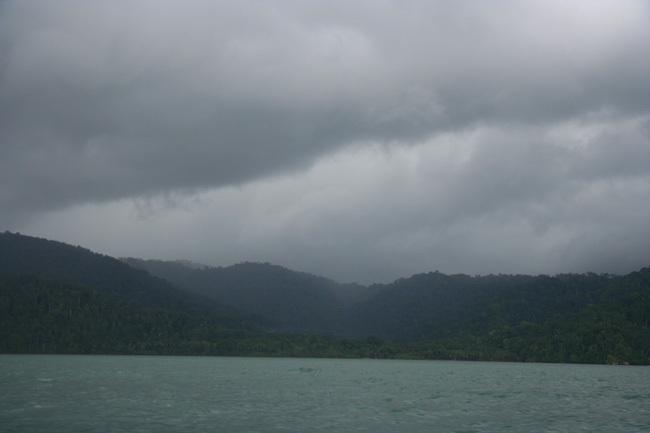 The season is characterized by almost daily rains, mainly in the middle of the afternoon. This phenomenon is more distinct on elevations than in the lowlands. The mornings are generally sunny; clouds begin to form around noon. 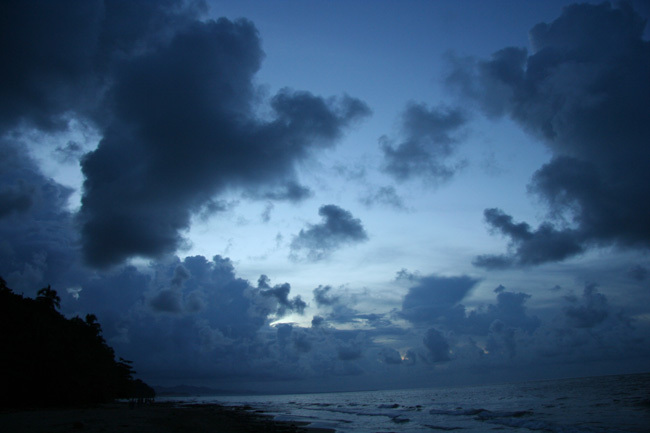 Heavy showers (often in the form of storms) occur around 2 a.m. These showers last from 2 to 3 hours, after which the sun returns. During this period the vegetation is of a beautiful lushness. The Atlantic side gets more water than the Pacific, except in July and August where the opposite is the case (this period is called the "little summer" in the Caribbean). The months of September and October are considered the rainiest in theory. In reality there seemed to be a change of weather in the last few years. During the years 2005 and 2006 these two months (September and October), were particularly sunny. 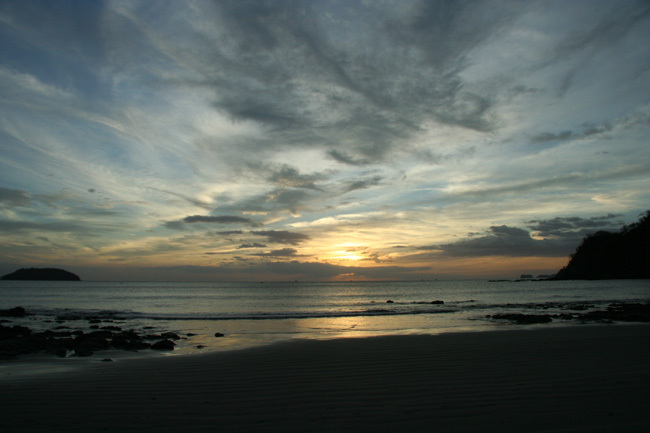 Hotels and other tourism operators consider the months of May, June, September and October (“temporada verde") to be low season. Many Europeans visit the country in July and August (average rates or high season). 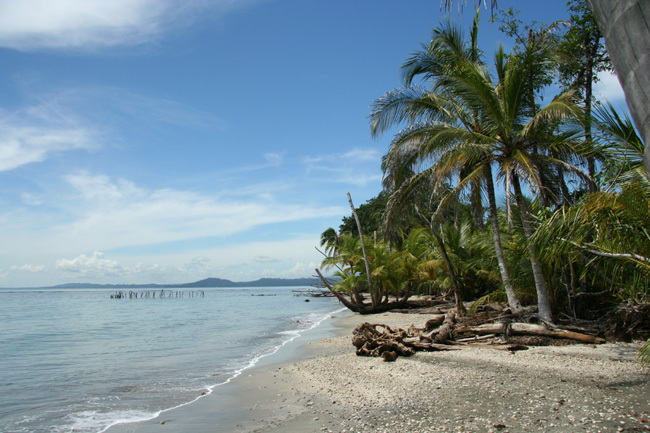 Contact us to get an itinerary suited to the current weather in Costa Rica. 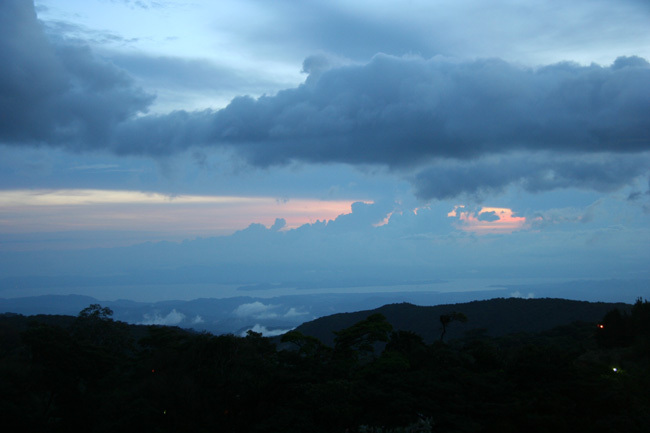 Costa Rica has a varied topography (see Chapter Geography) and generalisations about weather are diffucult. 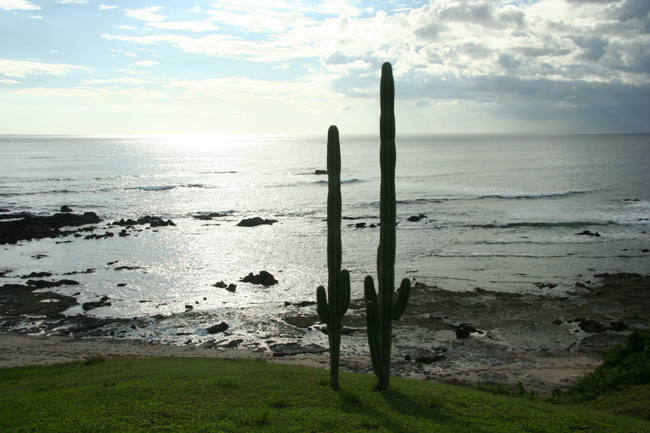 Lowlands: The North, Guanacaste, the Pacific and Caribbean coasts and the Osa Peninsula. 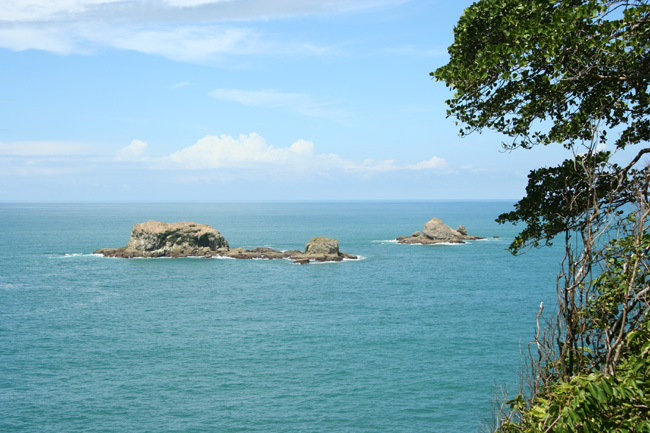 Daytime temperatures range between 15 ° and 45 ° C. The sea always has "good" temperatures between 23 and 30 ° C.
Highlands: The Central Valley, the Cordilleras Guanacaste Tilaran, Central and Talamanca. Daytime temperatures range from 0 ° (on the highest points) and 30 ° C. The average temperature in San Jose is 25 ° C.
We recommend to bring a variety of clothes, whatever the season of your visit is! (Check out our packing list). 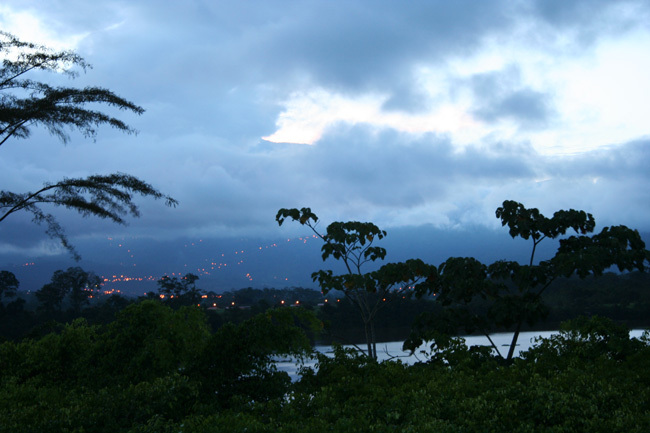 Costa Rica, is located between 8 and 11 degrees north latitude, between the equator and the Tropic of Cancer. Due to its geographical position the country has certain peculiarities that should be recalled. The nights are longer from October to March: the sun rises at about 05:30 and it sets around 17:30. From March to September nights are shorter, the sun goes down at 18:15. This season gains about 1.5 hours of sunlight per day. Another well-known phenomenon: dusk and dawn only last a short time. Note that in Costa Rica there is no time change as in Europe. 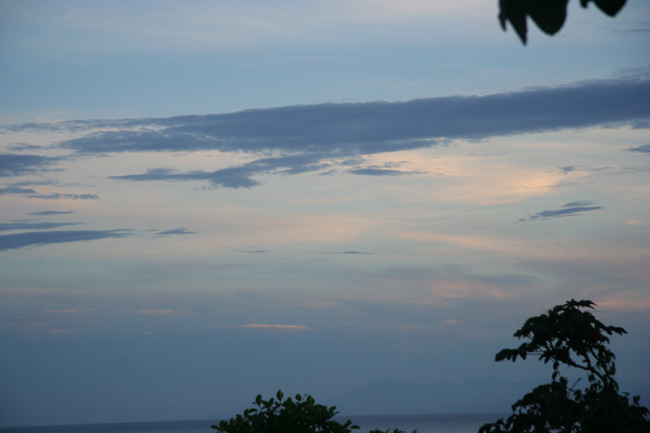 Learn how to interpret the weather development by looking at the Costa Rican Sky! Cumulus With hot and humid air good weather can develop into thunderstorms towards the end of the day. Altostratus brings a little shower. Mist with no great influence significance on the immediate development of the weather. Altocumulus castellanus in the back. Possible thunderstorms late in the day. Cirrus and cirrostratus Approaching warm front. Good weather for the next few hours before a shift towards rain. Altocumulus (typical small “mackerel” clouds to the right). Good weather for the next few hours. Stratocumulus Increasing temperature, development towards good weather. 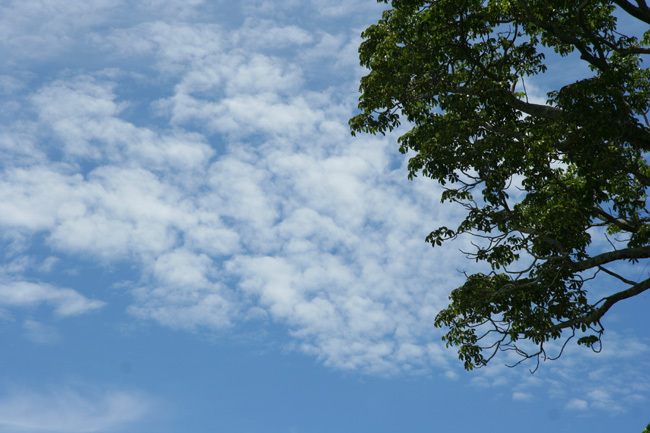 Altocumulus castellanus with possible thunderstorms in the evening. Cumulonimbus calvus Development towards a storm in the next few hours. Stratocumulus Development towards good weather after a passing warm front (warm area)! Stratocumulus The passing warm storm will lead to a lull in the wind. 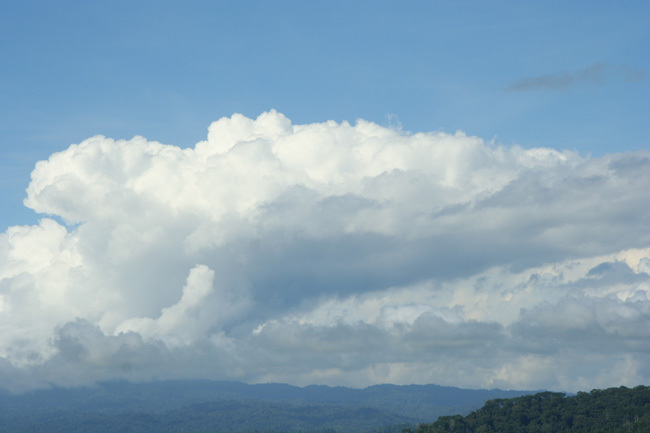 Reserva Biologica Monteverde Cumulus humilis means good weather. Stratocumulus This is the warm sector (after the passage of a warm front and before the arrival of the next cold front). Improving weather. Altocumulus castellanus in the back. Possible thunderstorm at the end of the day. Cumulus Insufficient details to determine if the base is dark – in which case this would be a cumulus congestus, which is likely to evolve into a storm in case of high humidity. Nimbostratus meaning rainfalls for several hours. 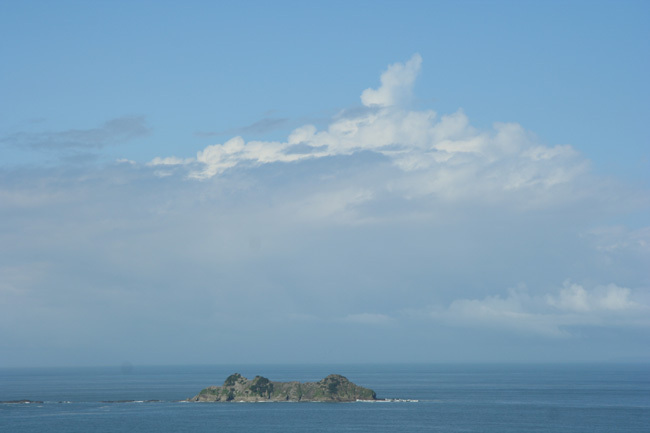 Cumulo-nimbus capillatus to the right (typical anvil). A short storm with strong winds and intense showers will break out. should gradually disappear in the late evening, after the storm on the left has passed. Cumulus castellanus in the back. Possible thunderstorms late in the day. Stratocumulus followed by better weather. © Photos Didier Raffin - Imagenes Tropicales S.A. Many thanks to Daniel Chézière for all his explanations about clouds and immediate weather forecast, which can be deduced from the observation of these clouds. Daniel, an experienced balloon and paragliding pilot, also owns Swissraft (www.swissraft.ch) in Switzerland and the Hotel Fleur de Lys in San José, Costa Rica, a charming establishment that we highly recommend to our customers. Altocumulus: Cloud of average height (about 4’000 m). Shaped like large flakes with quite clear contours. Arranged in groups of layers or patches (cloudy sky). They often precede a cold front. Altocumulus castellanus: Cloud on high altitude (3’000 to 6’000m). It looks like castle turrets, hence the name. 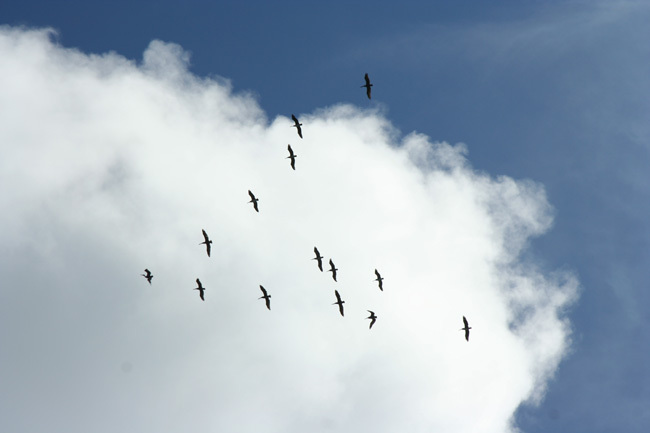 Their presence shows instability at medium altitude. They announce thunderstorms and mean turbulences for airplanes. Altocumulus lenticularis: Or lenticular cloud. It is a stationary cloud that forms in the lee of mountains. Shaped like an airplane wing in profile. Altostratus: Cloud of average height (2 000 to 6 00m) with a large extent (hundreds of kilometres), shaped like a dark gray sail. Cirrocumulus: High altitude (6’000 to 12’000 m). Family of cirrus clouds. Formed by groups of small white flakes (“mackerel” sky). Cirrostratus: Cloud of the family of cirrus clouds. Forms a transparent whitish veil producing a halo around the moon or the sun. They announce rainfall in the next 12 to 24 hours. Cirrus (from Latin: filament): White cloud forming between 6 and 10 km altitude in isolated strips or filaments. Appears at the front of a depression. Cumulonimbus: Large dark cloud, developing vertically on altitudes up to 10’000 m, which often triggers thunderstorms and sometimes hail. Cumulonimbus calvus: This cloud can get the highest vertical extent. Family of cumulus clouds. Its base is generally a few hundred metres to 2’000 m above the ground. Its top sometimes exceeds the tropopause, it can peak at altitudes ranging from 8’000 m to 15’000 m. At the end of the development the top looks like an anvil and are called cumulonimbus capillatus, as opposed to cumulonimbus calvus (transitional stage between the cumulus congestus). Cumulonimbus capillatus: Cumulonimbus with a considerable vertical development. Its upper part is smooth or fibrous. Shaped like an anvil or a large panache. 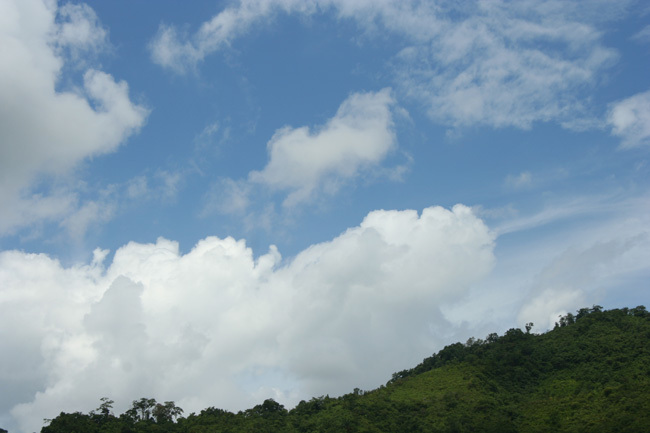 Cumulus (from Latin: amass): Good-weather clouds. White, very clear contours, flat base with rounded protuberances at the top. Cumulus congestus: Also called Burgeoning Cumulus. Develops when the air is moist and unstable. It is the intermediate stage between the cumulus and cumulonimbus and usually like a cauliflower without anvil. Cumulus humilis: Often a little thicker than the cumulus fractus, the cumulus humilis has already the characteristic flaky appearance of cumulus. 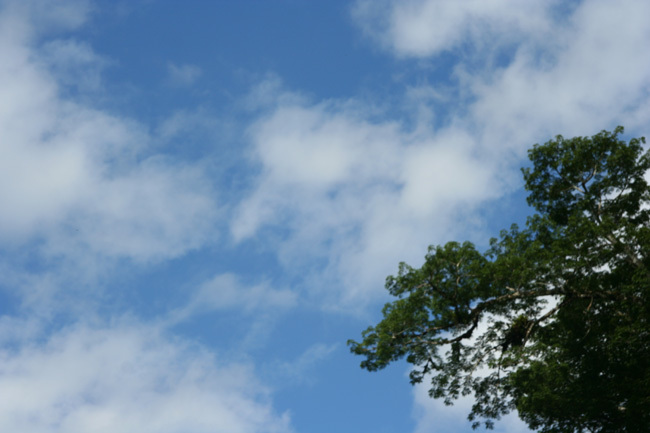 When cumulus humilis clouds dot the sky, we are talking about a good weather cumulus. These are the favourite clouds of paragliding pilots because generally there is a temperature inversion at the top of the cloud. Nimbostratus: Stratiform cloud of significant vertical extension. Produces moderate rainfall, but over large areas. 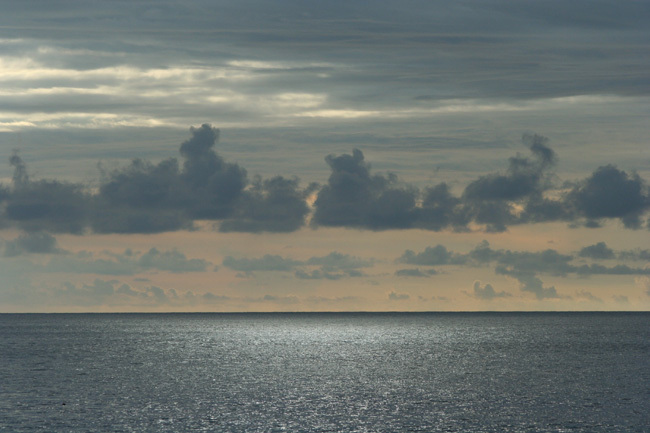 The nimbostratus is often made up of several laminated layers without defined form and of dark gray colour. 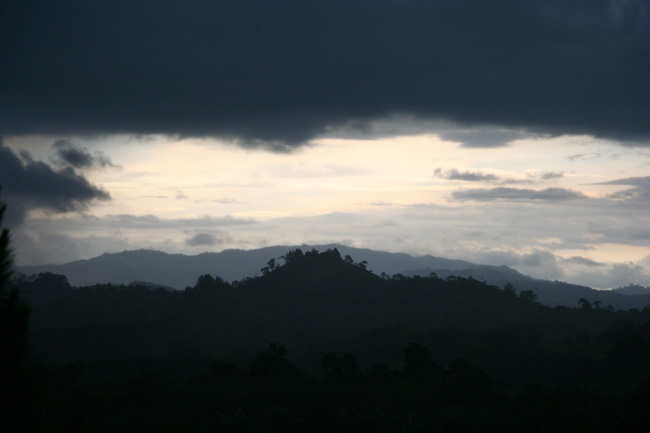 The basis of a nimbostratus is typically less than 2’000 m. They can be compared to stratus, altostratus and cirrostratus. 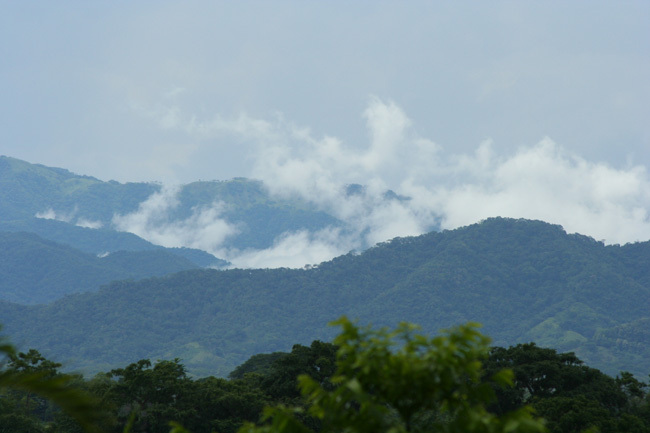 Orographic Lift (cloud): Clouds that adapt to the land formation (usually in the mountains), when air masses are forced from low to high elevation. 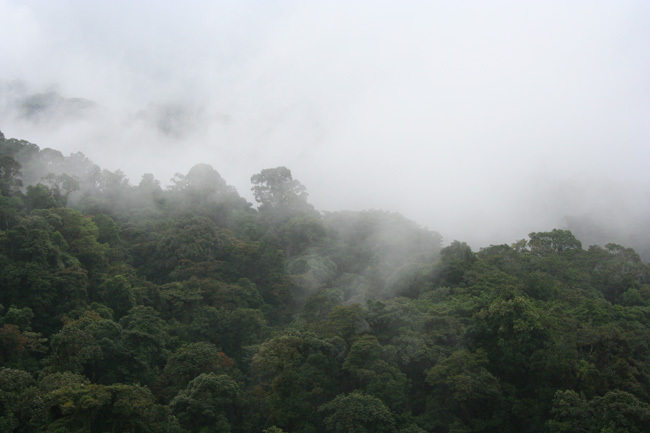 The rising air cools, loses moisture and produces high air humidity. 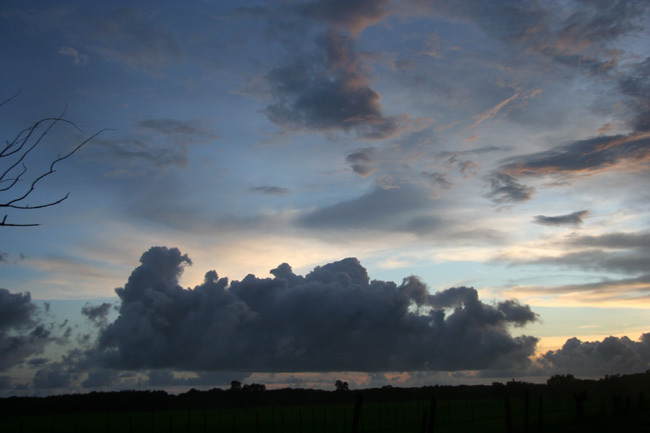 Stratocumulus: Continuous layers or entire groups of clouds, normally thin and of a steady size. They usually bring light rain or indicate a storm to come. Tropopause: Transition zone between troposphere (atmosphere layer which is closest to the ground) and stratosphere (atmosphere layer situated at a maximum altitude of 18 km). The air cools down to -50° C and becomes completely dry.